The software allows importing multiple OLM files into Office 365 user account. It migrate entire data of Mac OLM such as email messages with its meta properties, contacts, calendars, attachments, etc. into O365 (Exchange Online) user account. The tool initially to apply settings and migrate Mac Outlook 2011, 2016 data to Office 365 in a secured manner. The OLM to Office 365 importer is designed in such a way that it focuses on the folder hierarchy. It helps to retain the orientation of data items and folders of archive OLM files into Office 365 environment. The Tool incorporates with an interactive and easy-to-use graphical interface. No technical knowledge or expertise help required to operate this application. 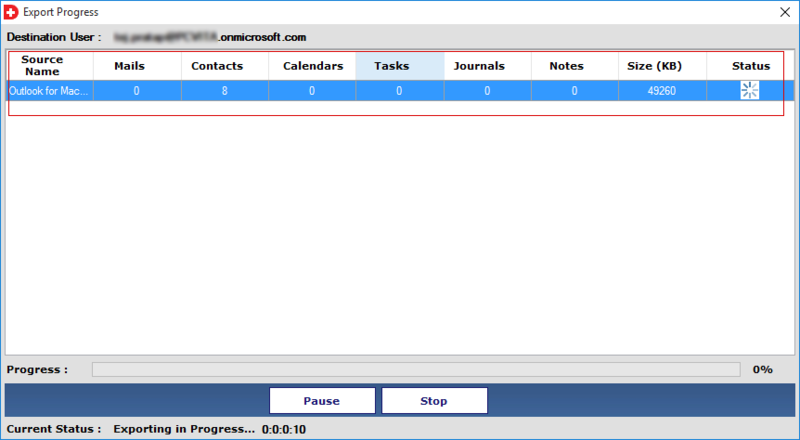 The software permit users to drag and drop the OLM files into software panel. Apart from this, it provides Select files and Select Folder options to add the files. Users can choose any of the options as per their need. This tool also provides Pause & Stop options to pause the process in between if required and even can stop the migration. The OLM to Exchange Online migrator provides an exciting new feature of date range filtering. It permits the users to transfer entire data items of a specific Date range. Only users have to mention the particular date range for selective conversion. After migrating Outlook Mac to Office 365, the software will create an export report. In this report, OLM to Office 365 migration software will keep all records, which is related to migration. It will help the users for future reference about the imported OLM data files. 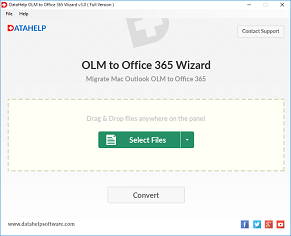 Outlook Mac to Office 365 migration is not a simple task while importing large sized OLM files. The software allow you to upload or migrate large OLM files to Office 365, it has no file size limitation and also capable to perform the multiple files conversion as per users requirement. The Demo Version Tool will export only 10 items per folder. How do I migrate OLM file of Mac Outlook 2011 to Office 365? 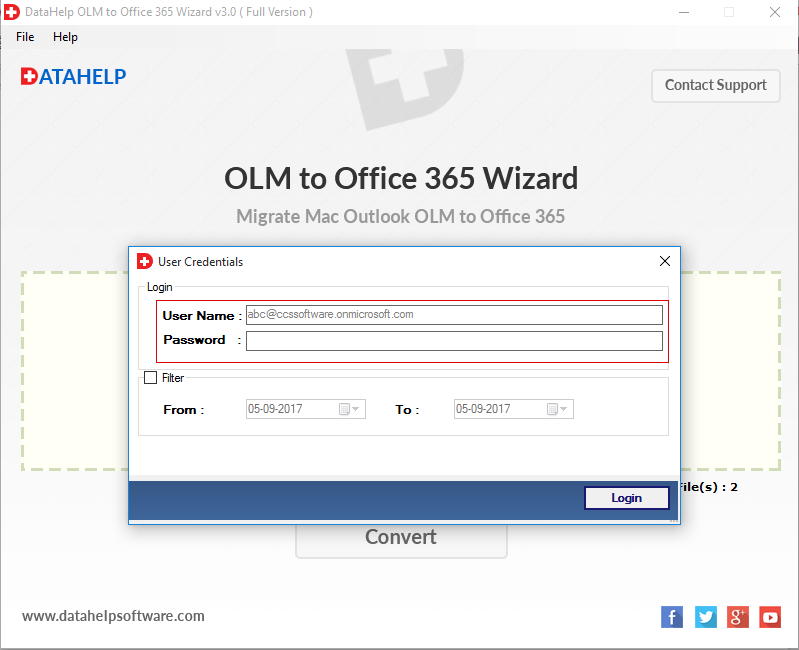 Run DataHelp OLM to Office 365 Wizard. 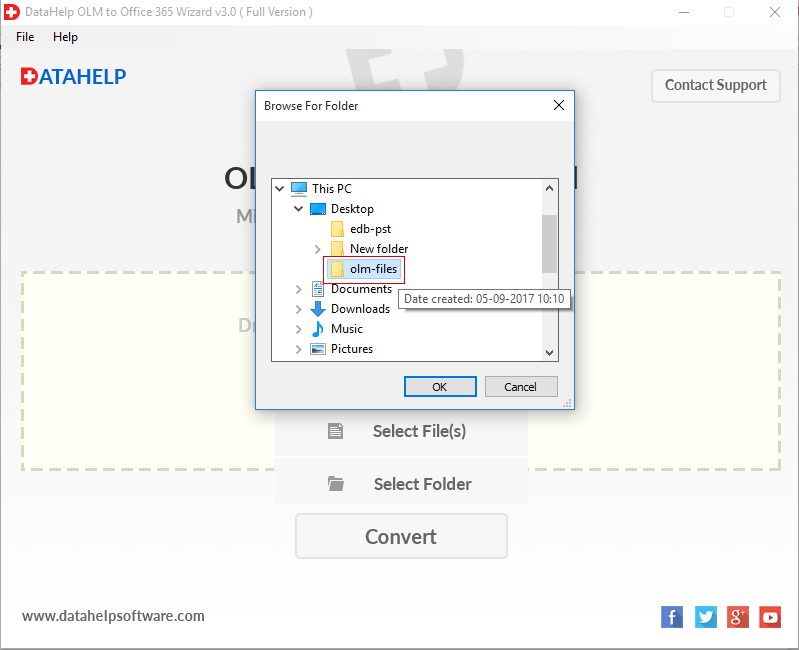 Select OLM file by Drag & Drop, Select File options. Click on Convert button to start the migration process. Now enter User-Name, Password of Office 365 account. You can apply Date-Filter for selective data import. Now, the software will start the process. 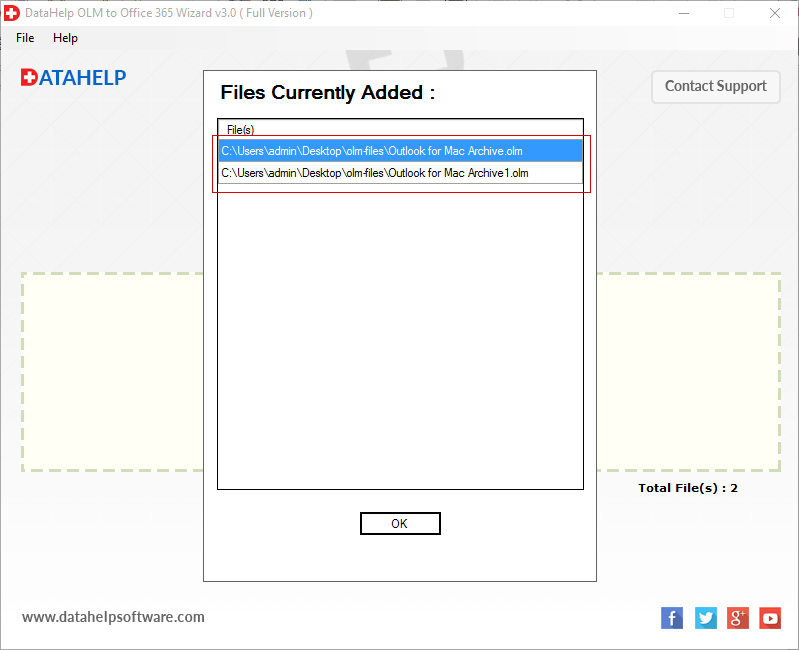 The software will take a few minutes to complete this process, After successfully completing the process you will be able to access OLM data into Office 365. I have about 40GB of OLM data and now I want to import all of them in Office 365 account. Therefore I want to know that Can I easily upload it to Office 365 environment with the help of this software? Yes, the users can easily import multiple OLM files to Office 365 account without any size limitation. There is no file size limitation imposed in this software to migrate Outlook 2011 to O365 account. Will this software save the migration report of OLM file to Office 365?" 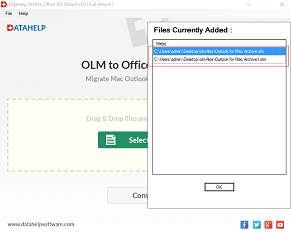 Yes, the OLM to Office 365 Migration Tool will save the complete migration report in CSV format of Outlook Mac to Exchange Online for future purpose. 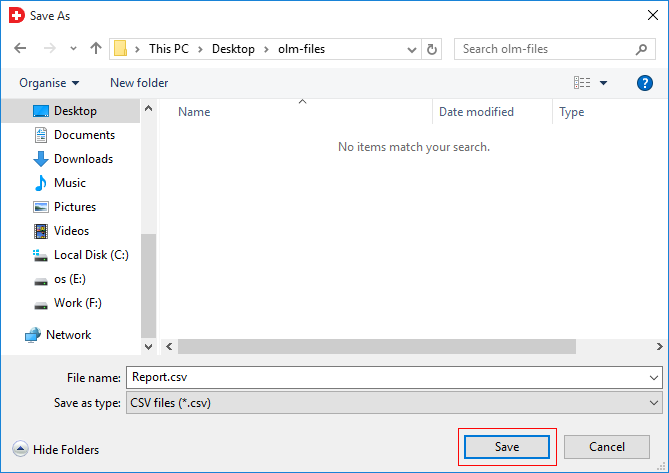 Does the software maintain the folders hierarchy while migrating OLM mailbox to O365? Yes, the OLM to Exchange Online migrator is designed in such a manner that can preserve the folder hierarchy and technical attributes related to the Metadata. Can I import some of the crucial data of November month only, using this tool? Yes, of course, the users can upload OLM files to Office 365 account of the desired month only by indicating the start and end date provided in the interface of the software. Can I import multiple Outlook Mac data to Office 365 by using this software? Yes, this application allows to migrate one or more OLM files of Mac Outlook 2011, 2016 to Office 365 (Exchange Online). Does the software compatible with Mac Operating system? No, our OLM to Office 365 importer is not able to run on Mac machine. It is compatible with all Windows version including its latest version 10. Can I Migrate entire items of Mac Outlook 2011 to Office 365 account? 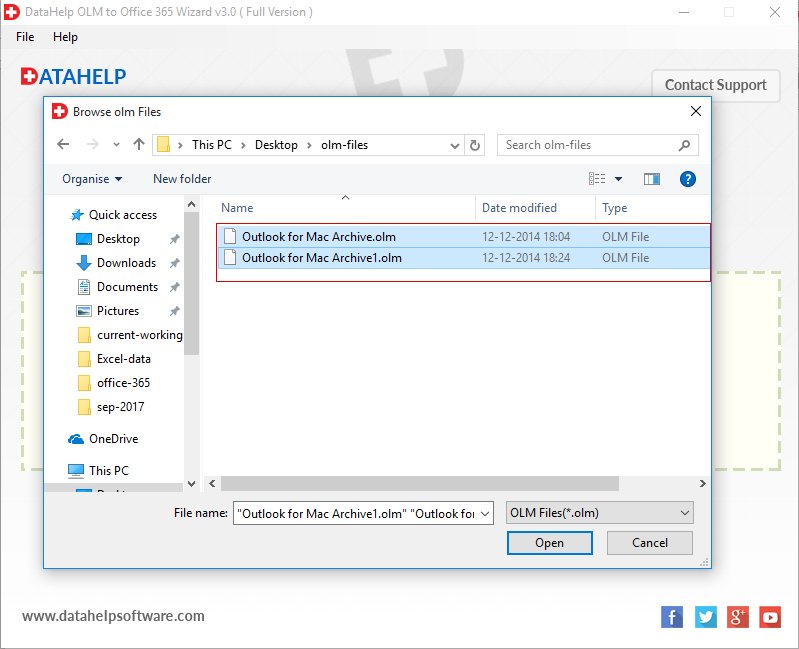 Yes, you can migrate & import Outlook Mac 2011 OLM emails, contacts, calendars, etc. into Office 365 account. 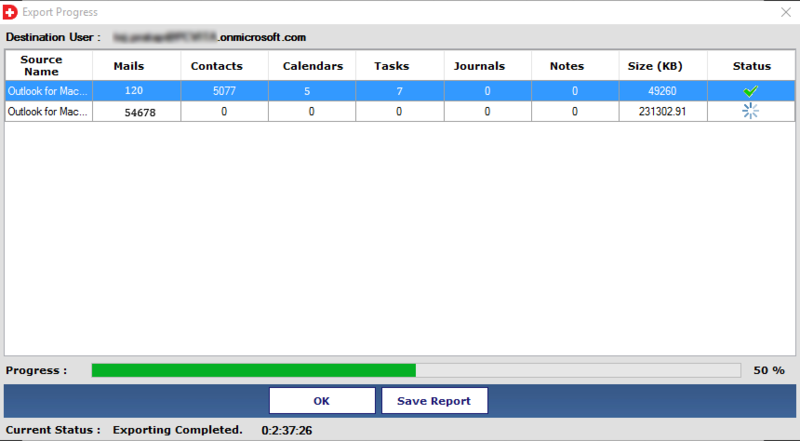 "Before using this utility, I used to convert OLM to PST type and then, import it in OWA account. But, the challenge I faced was that it was very time-consuming process and also it became difficult for me. When I came to know about this software, what I really liked is that now there is a direct and great solution to move OLM data to OWA Office 365. Thank god that DataHelp came up with such an innovative product to upload Mac Outlook 2011 mailboxes to Exchange Online environment." 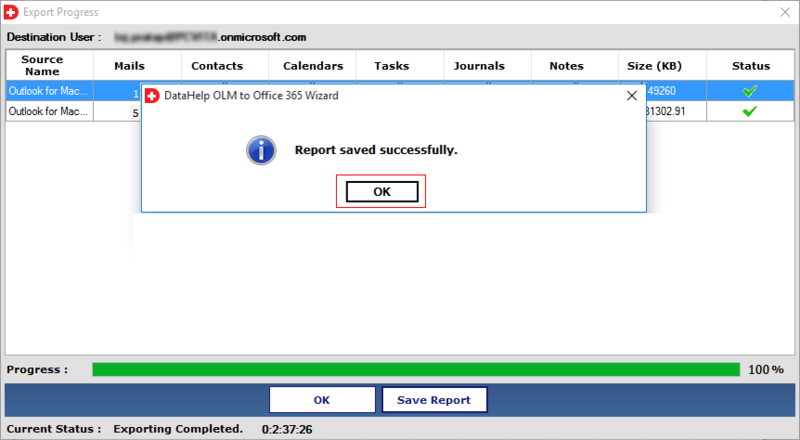 "Working with DataHelp OLM to Office 365 Wizard has been a great pleasure for me. Not only fast, but also provides satisfactory results in a convienient manner. It helped me a lot helped me a lot while performing the migration of Mac Outlook OLM files. 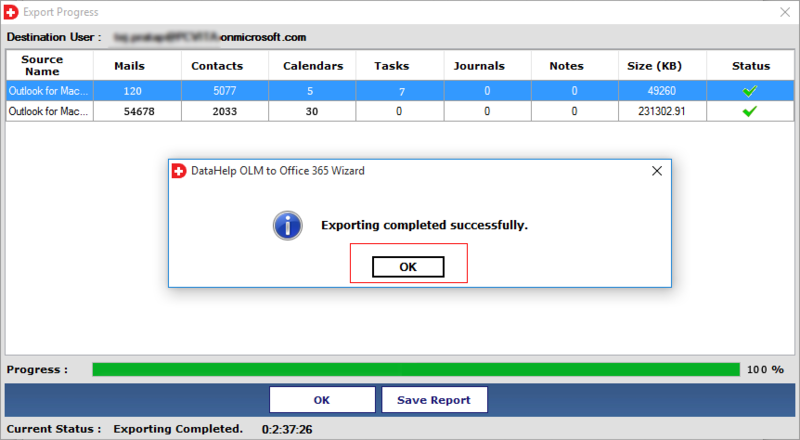 The application provides a trouble-free solution to export OLM files to Office 365 environment.Great work!!"